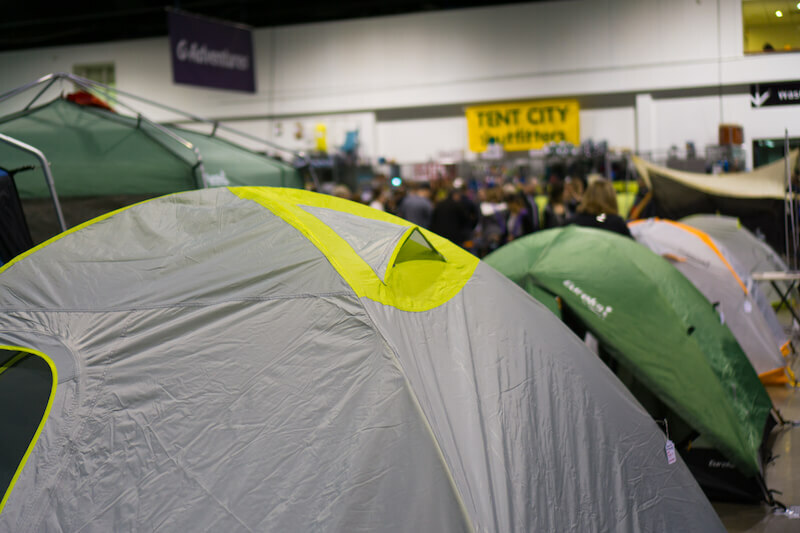 My discovery of the Outdoor Adventure Trade Show went something like this: On a cold winter night, I started dreaming of my next getaway. 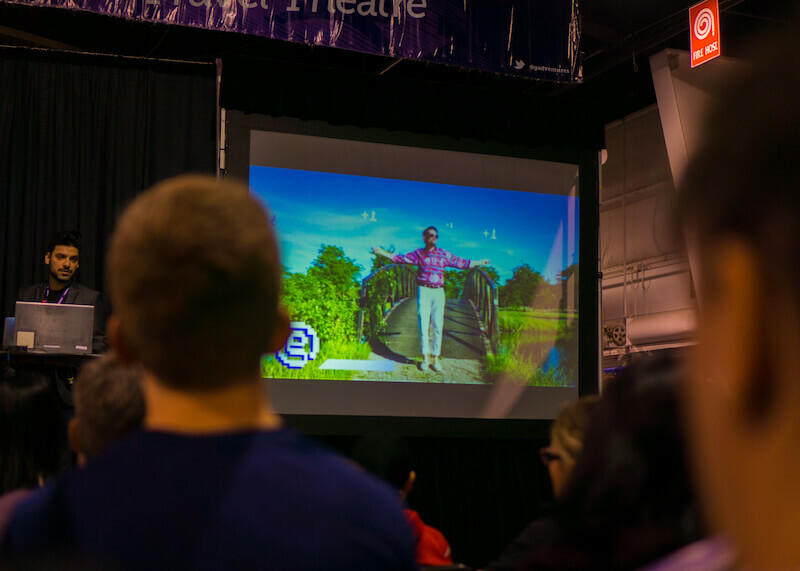 Upon realizing that my dream to visit every country in this world was a bit much, I began to look for travel shows to attend because I find that trade shows are a good way to get ideas and meet tons of exhibitors all at one place. 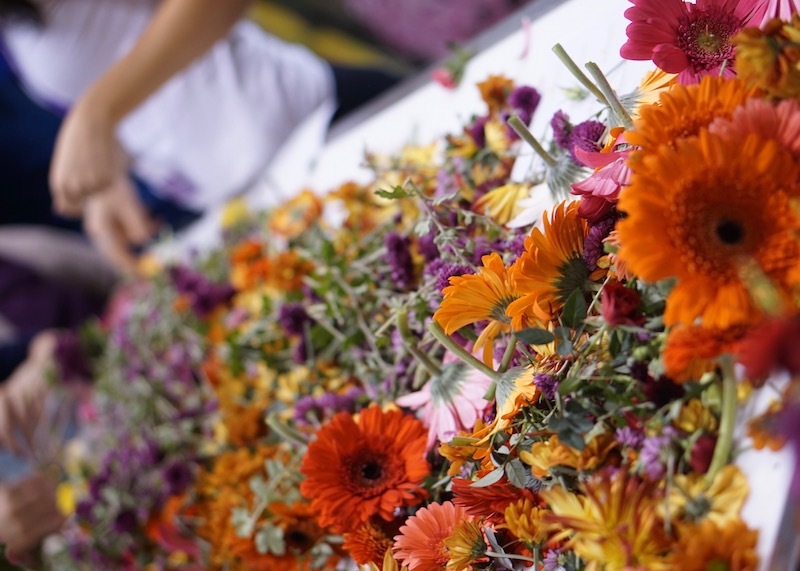 Moreover, exhibitors often have specials that offer significant savings for their products or services. 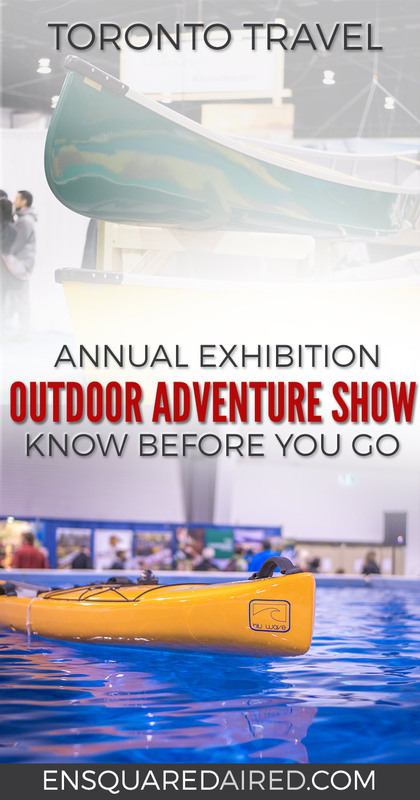 With that, I began looking for travel trade shows in Toronto and found the Outdoor Adventure Show. 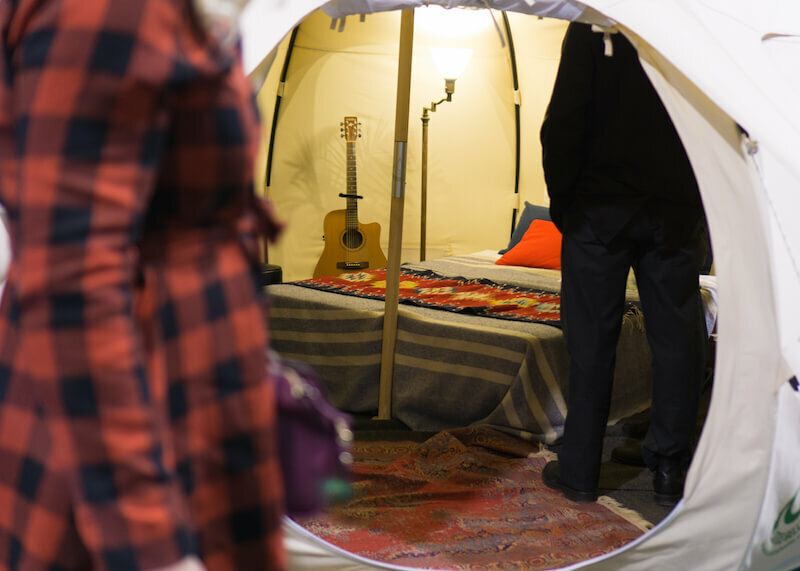 Initially, I dismissed this trade show because I thought it was all about camping and outdoor activities. However, further research made me realize that there’s more to this trade show than outdoor activities. 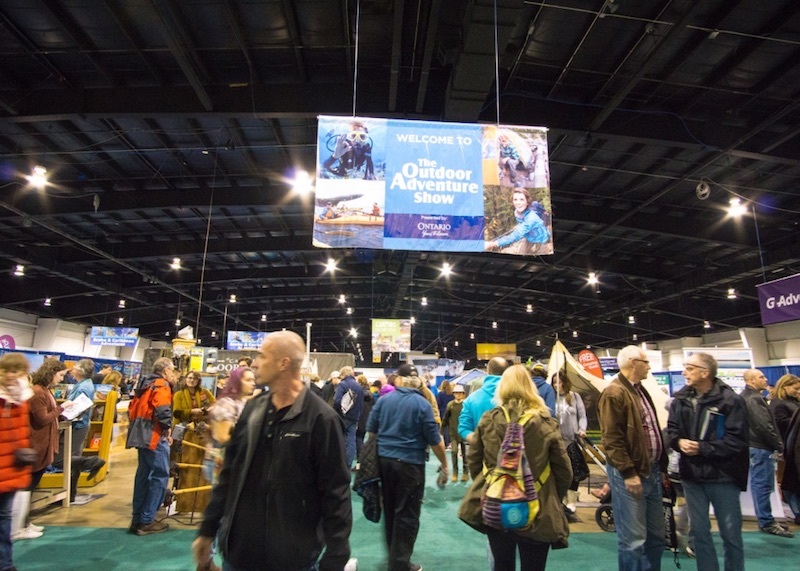 The Outdoor Adventure Show had many exhibitors, including airlines and international travel. 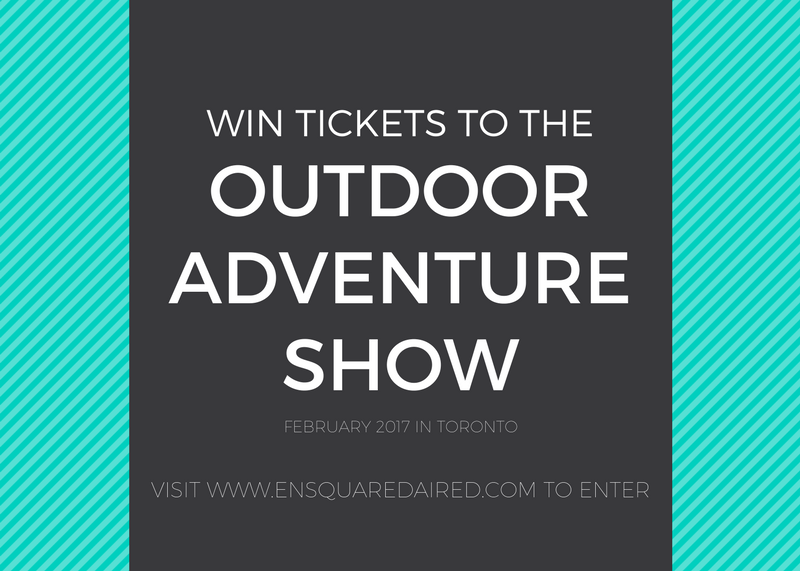 Disclosure: I partnered with the Outdoor Adventure Show for ticket giveaways and attended their show as media. Check out their website here. 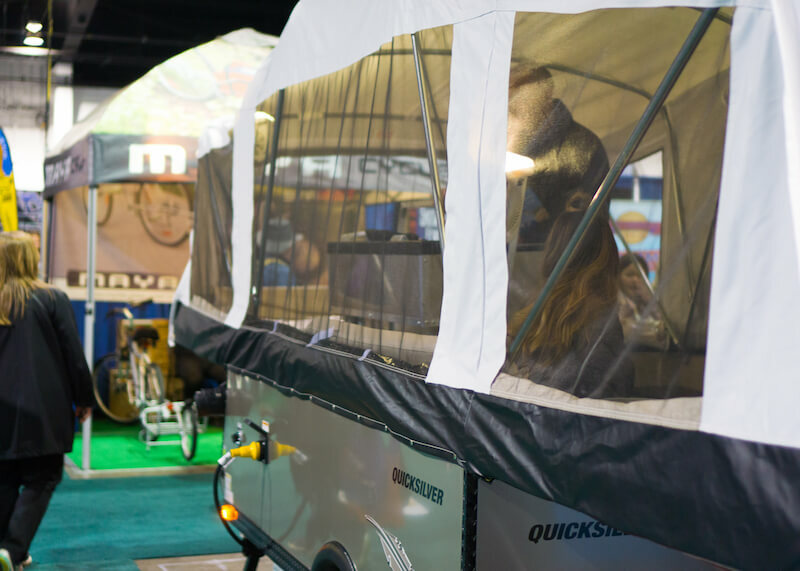 This trade show had something for everyone of all ages. There was an underwater adventures stage, where guests can learn about water adventures around the world. 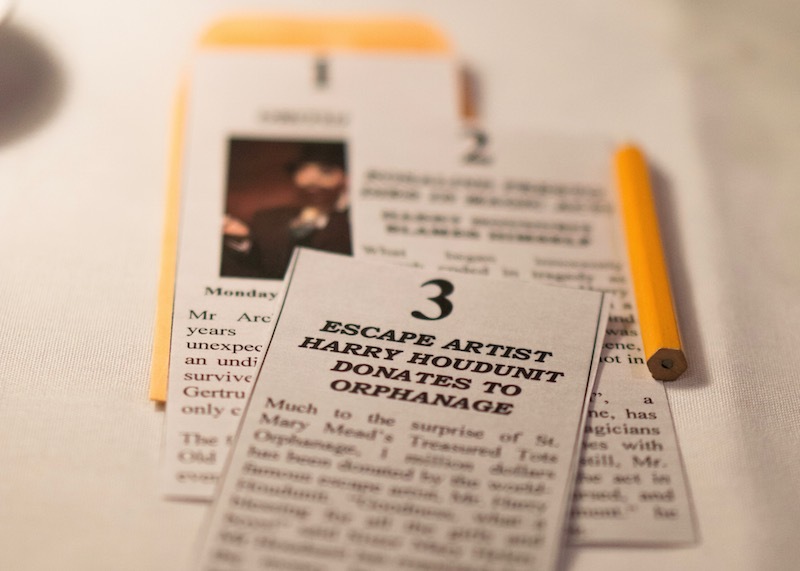 Additionally, there was a paddling stage, pool, and a scavenger hunt for kids and families. 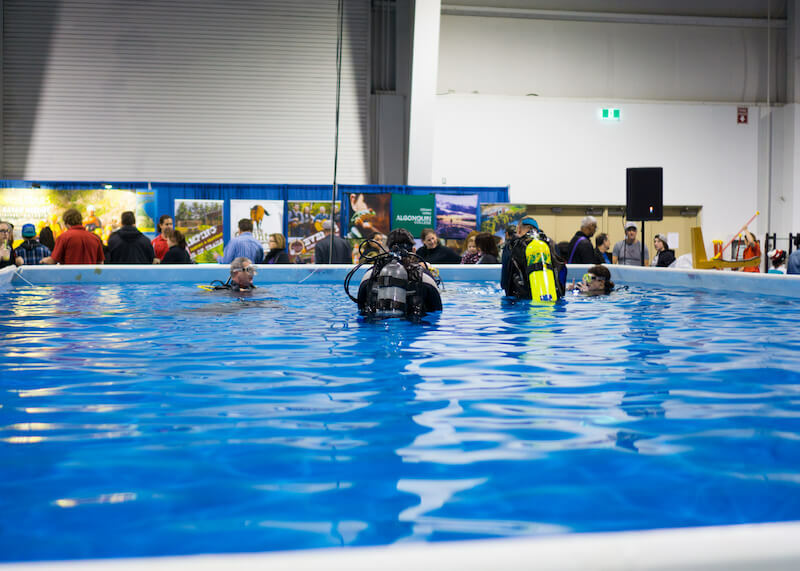 There was a whitewater demo pool where guests were invited to learn how to scuba dive. Many people brought their bathing suits to take advantage of this fun activity. As well, the pool was also used for people to canoe (or is that kayaking?). Either way, people were paddling in the water! G Adventures had a very interactive event where we spent 20 minutes playing trivia games. Some of the questions included facts around the world while other questions allowed the audience to get a glimpse of the work culture at G Adventures. Almost everyone in the audience walked away with prizes – except me. See, these are the moments where I can be very shy, and I’m not loud enough to stand out from the crowd! Boo. 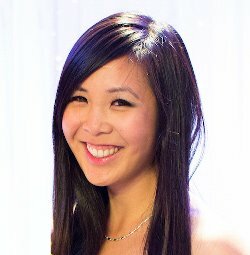 I came dressed in workout clothes, ready to climb the indoor rock climbing wall. 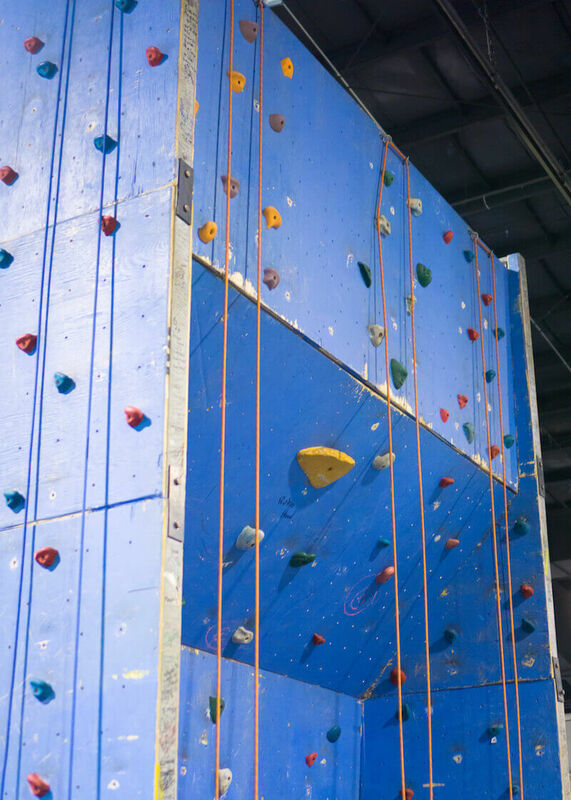 In the end, I decided against rock climbing because there were too many kids and people climbing the wall. There were a few vendors that had mini obstacle courses for guests. However, it was mostly kids who flocked these mini obstacle courses. While the event started at 10 am, I arrived at the show at 12 pm. By this time, parking spots were almost full. I walk into the trade show, and I am immediately overwhelmed by everything and everyone that I see. There was A LOT of people. To my left, there was live music going on and people walking in all sorts of directions. To my right, I see a handful of people trying out products all over the place. I had no idea how to plan my route and figure out my plan of action with all these vendors when I entered the hall. So I began walking until I decided to be more organized in my approach to seeing all the booths. Going through the Canadian pavilion was interesting because it reminds me of how vast Canada is and how there’s so much to see and do in Canada. There were lots of Canadian government agencies promoting Canada as a place to travel. 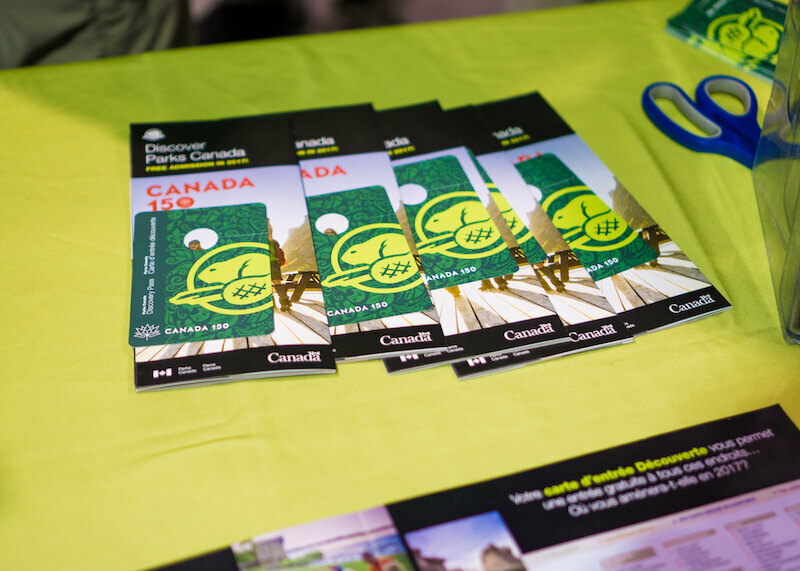 Parks Canada Agency was giving away park passes in celebration of Canada’s big 150th birthday. Many exhibitors had animals at their booths. 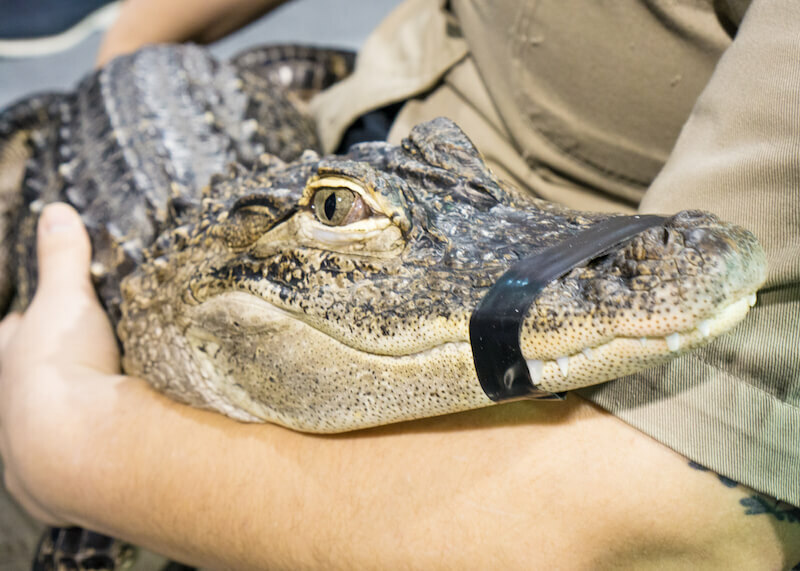 Go Tours had a baby crocodile to promote their Segway tours and bring light to the fact that they had tours at the Toronto Zoo. Another vendor had a mesmerizing owl who was silently watching the crowds. The US pavilion had tons of booths representing most of the different states in America. A quick walk through this section made me consider visiting states that were never on my radar. 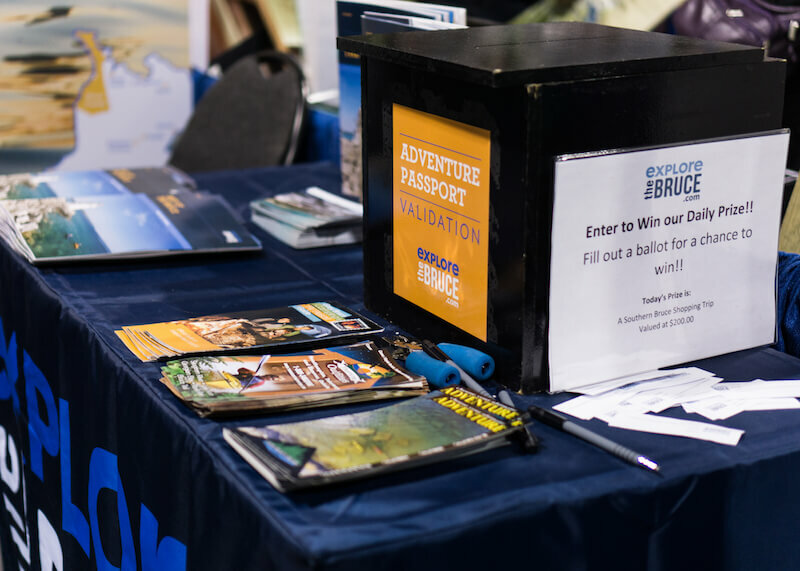 The Adventure Travel Pavilion had some interesting booths featuring places like India and Nepal, but it was tiny and at the corner of the trade show. 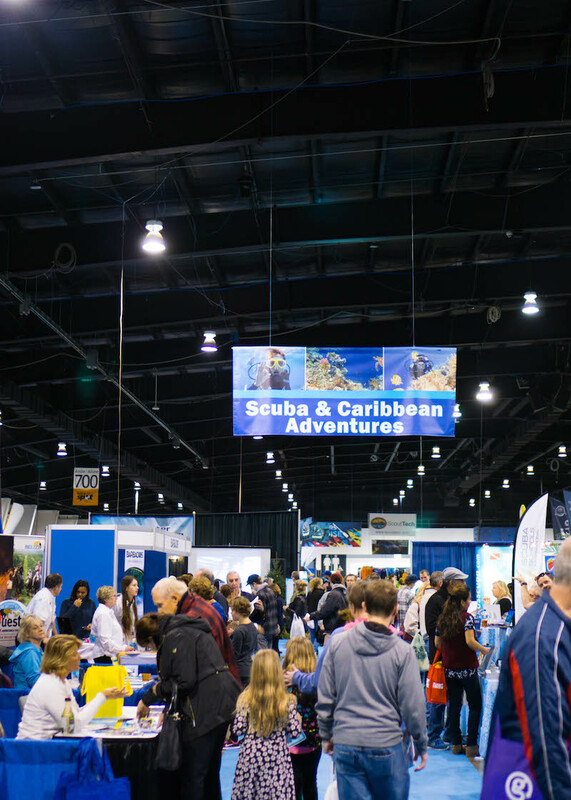 The Caribbean Pavilion was also small and featured a few booths promoting the Caribbean islands. There were some pretty good deals where guests can get free excursions or incur significant savings if they booked their trip right away. Talk about influencing impulsive buys! 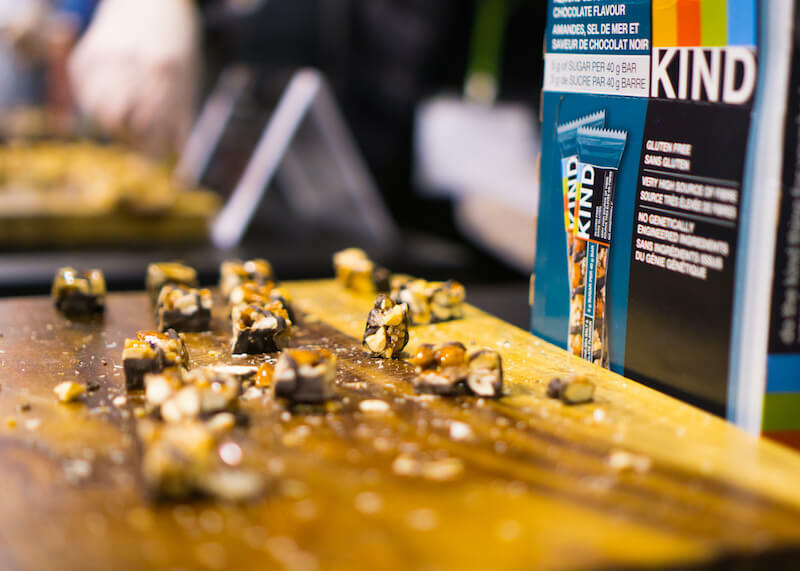 The health and wellness section featured mostly healthy snacks and granola bars. 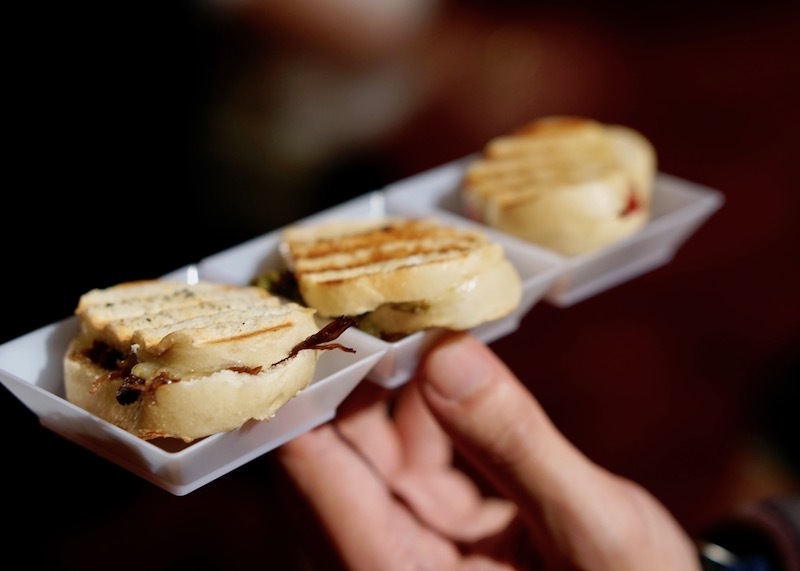 I can tell most of the vendors had good quality ingredients in their products because I felt pretty full by the end of the show. 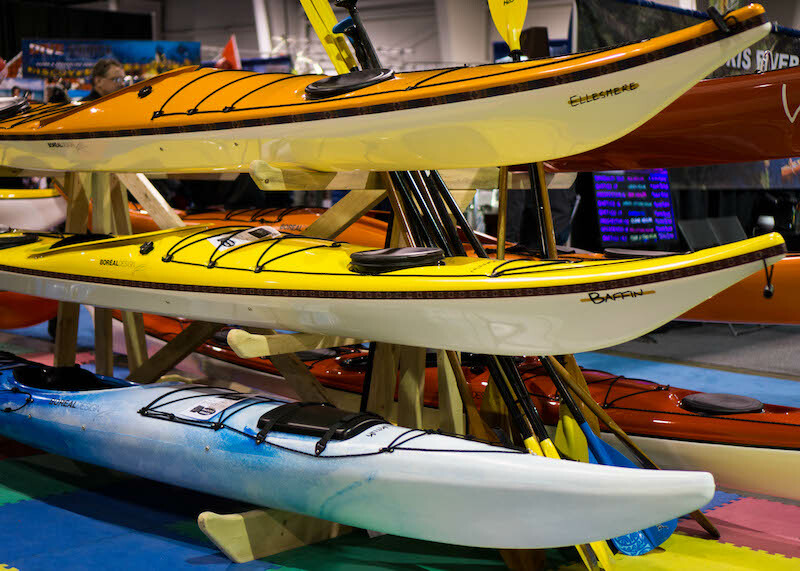 Unsurprisingly, these sections took up over 50% of the trade show booths and is a dream for those looking for outdoor adventure gear and ideas. 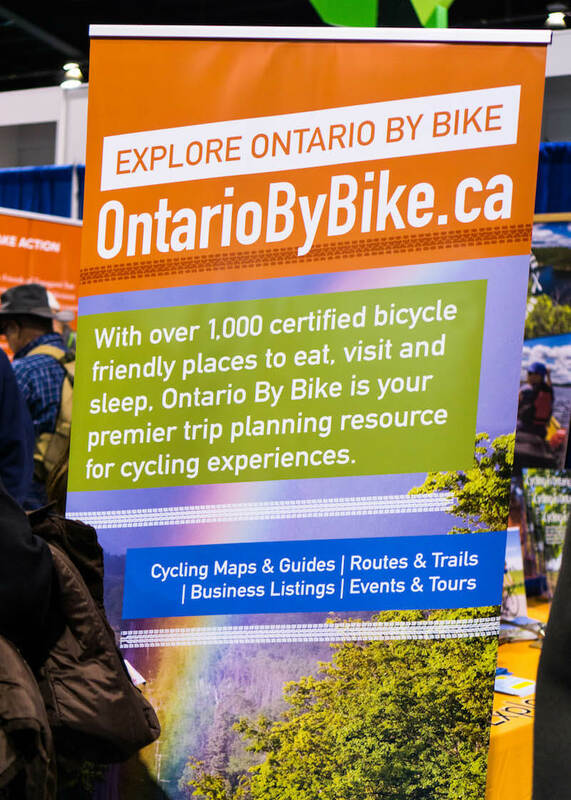 Explore Ontario by bike, now on my to-do list! This section was a good reminder that I don’t explore enough of this beautiful country (I know, I’m a bad Canadian!). This section also featured many ecolodges, nature trails, and products/tools to help guests plan getaways in Canada. There were also booths featuring horseback riding and wild adventures in Canada. Contests galore! 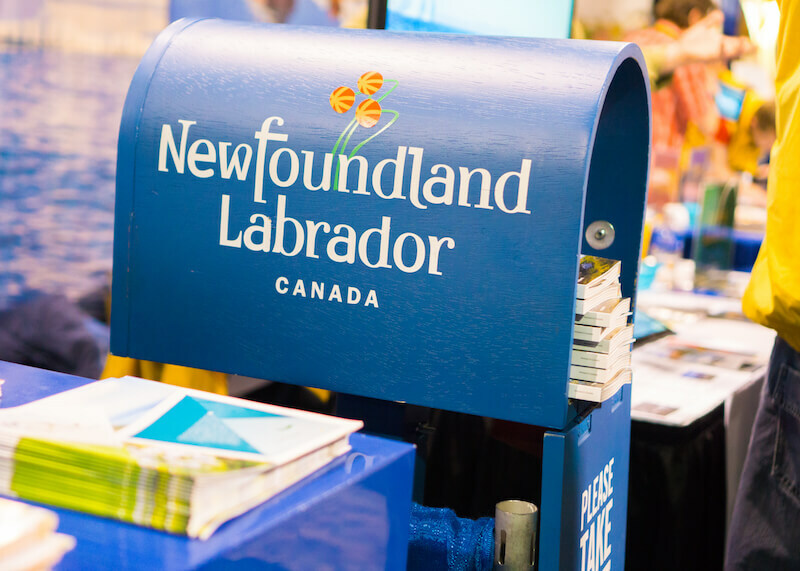 Because what’s a trade show without contests? As expected, trade shows always have specials. 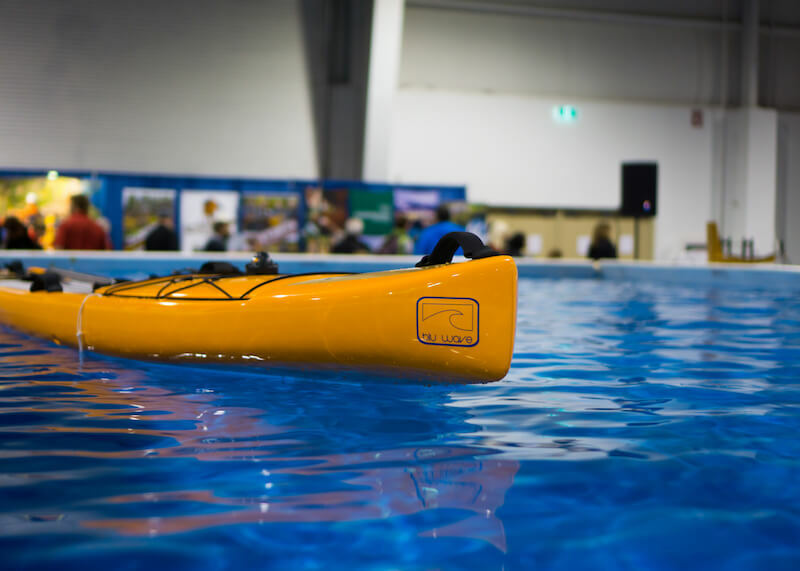 For example, I saw kayaks priced a few hundred bucks cheaper than the regular price. 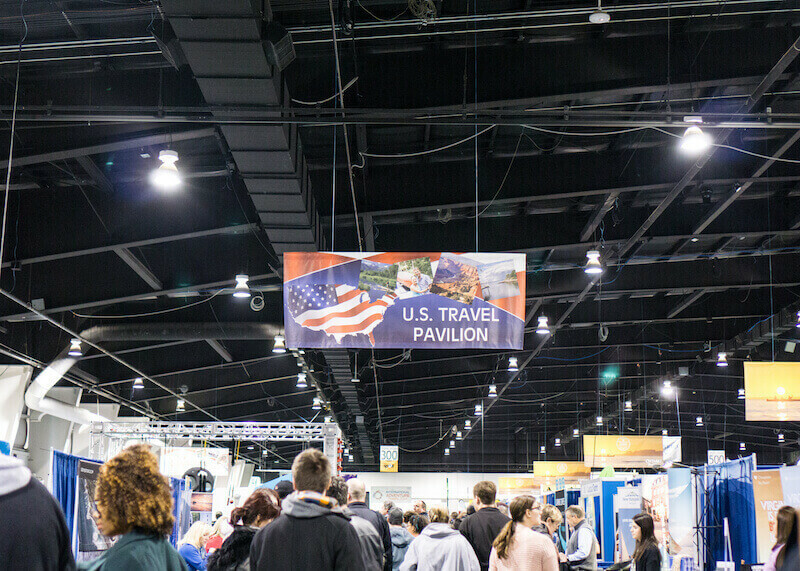 I also saw deals at the travel booths where free excursions are thrown in if guests book their trip at the trade shows. 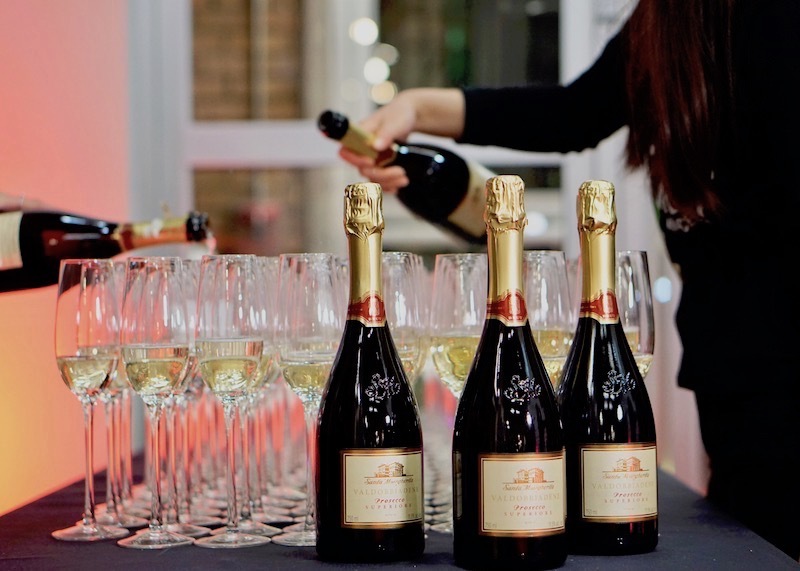 These impressive sales do lead to impulse buying so reviewing the list of exhibitors before your visit might help mitigate some impulsive purchases. RVs, try before you buy! Seeing these RVs made me lustful for a road trip to New Zealand! 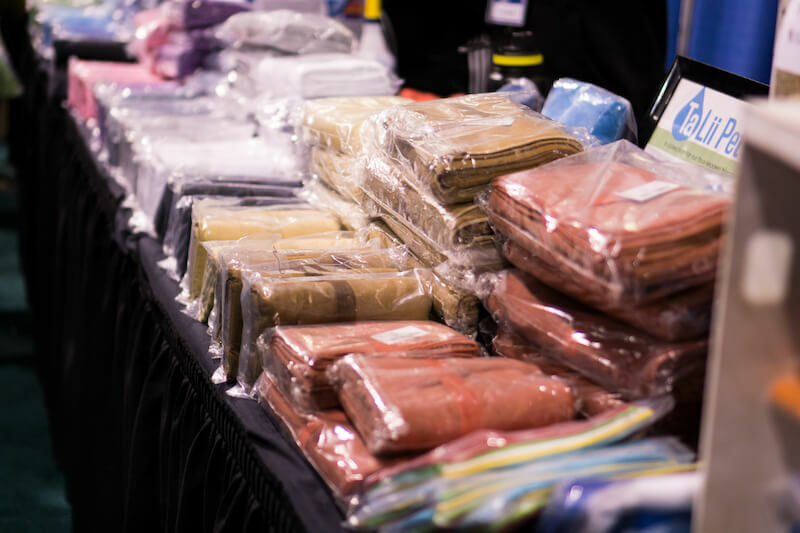 While there were tons of good deals on products at the show, I only bought one item from the show – TaLii Towels! I’ve been pondering about these towels for months after seeing them for the first time at The National Women’s Show. While these towels are ideal for everyday use, I’ve been looking for towels that are quick absorbing and lightweight for traveling purposes. These towels can also double up and act as a blanket during those long flights! You have no idea how much I love multi-use products for when I am trying to travel light. What’s awesome about trade shows is the ability to meet and discover new vendors in the most efficient way possible. 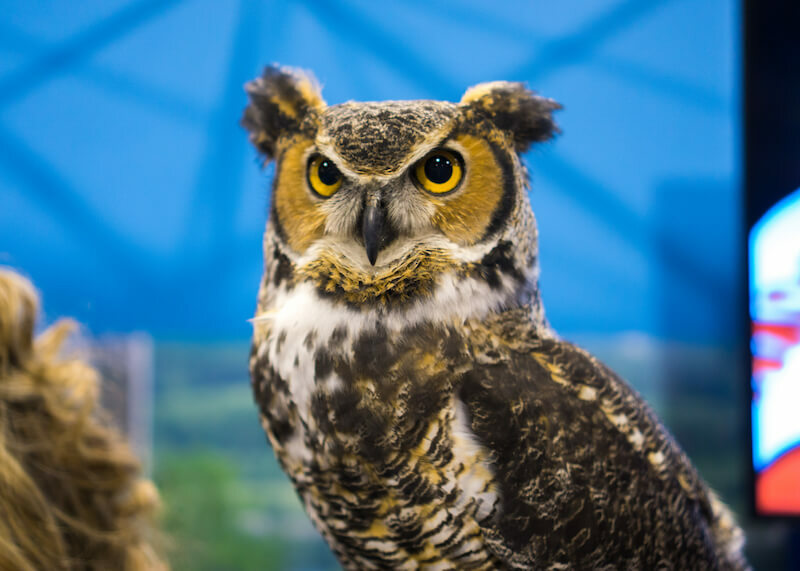 One company that stayed in my mind was the Hawkeye Animal Bird Control company, where their birds are bred to chase other birds and catch rodents for homes and businesses. 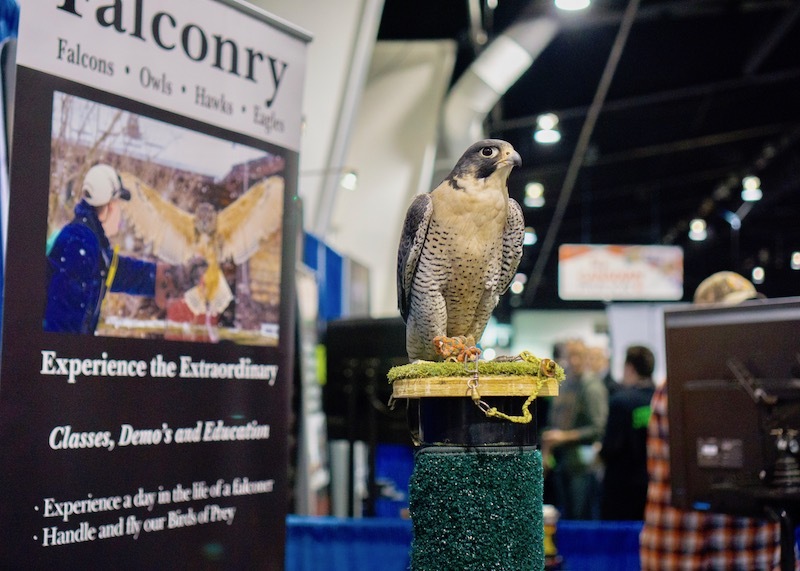 What’s also cool is that this company has an activity where you can be a falconer for a day and experience what it’s like to train and work with birds! How cool is that? 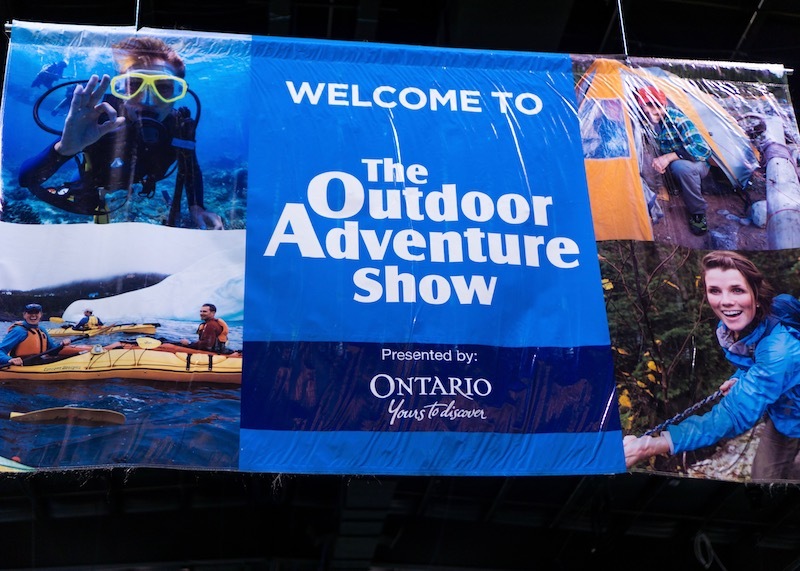 Overall, the Outdoor Adventure Show was an excellent event to visit on a Sunday afternoon. 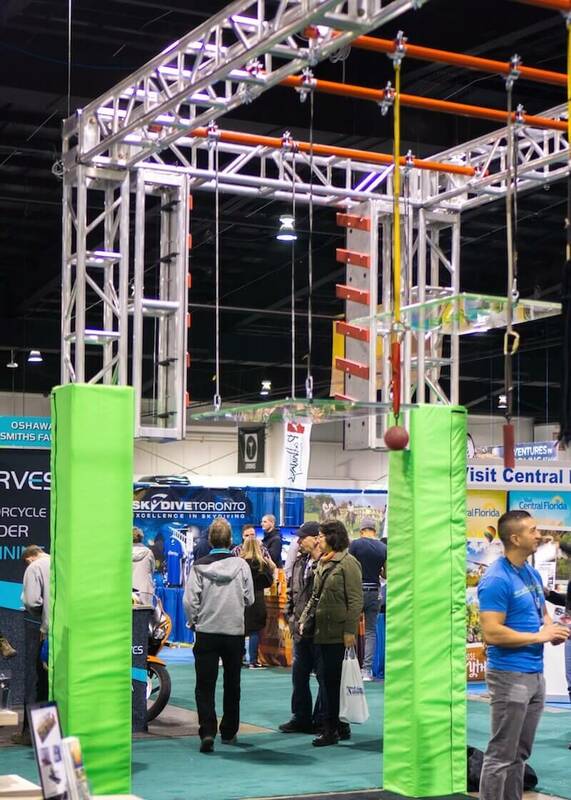 I loved how there were so many vendors in one place, and I discovered exciting activities I would have never learned of had I not visited this trade show. 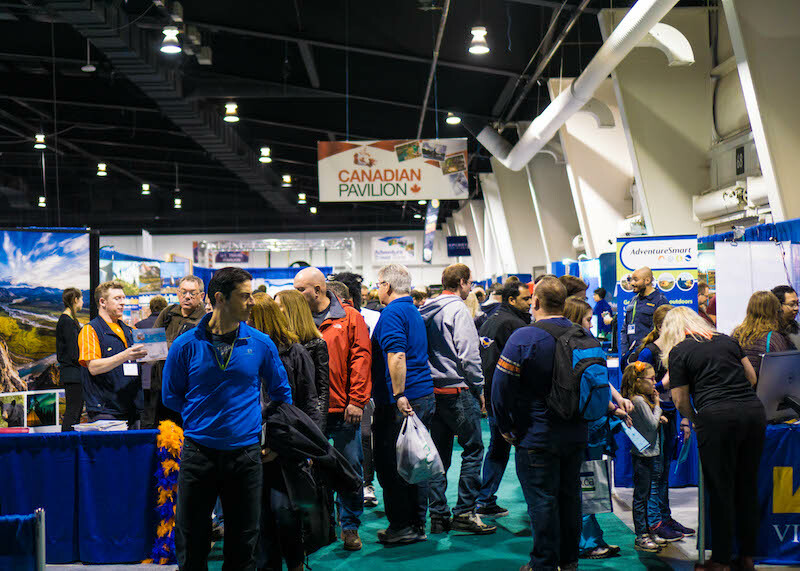 Research the exhibition list so you have an idea of what vendors you might want to visit. Preparation will help for avoiding impulsive purchases! 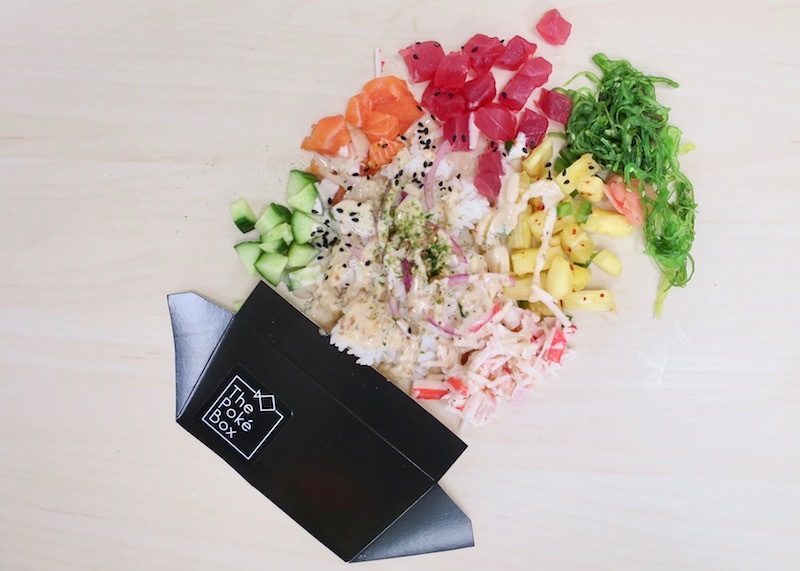 This place will surely make you feel happy and satisfied because of the fun activities they have. Thank you for sharing this with us.